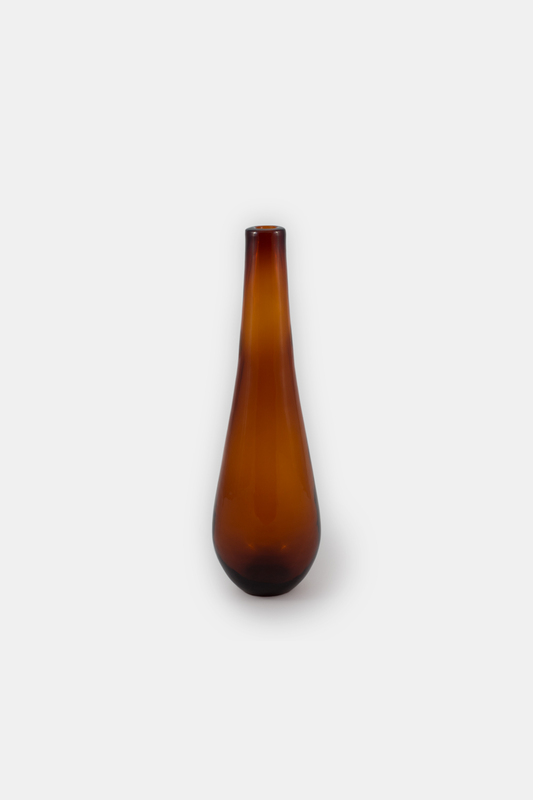 The fascination of intensity of colour changes in the mouth blown glass that depends of the thickness of the material. Has inspireret Klassik Studio to the Knox drop shape vase a dynamic change of thickness throughout shape, from solid coloured base to more thin transparent top. 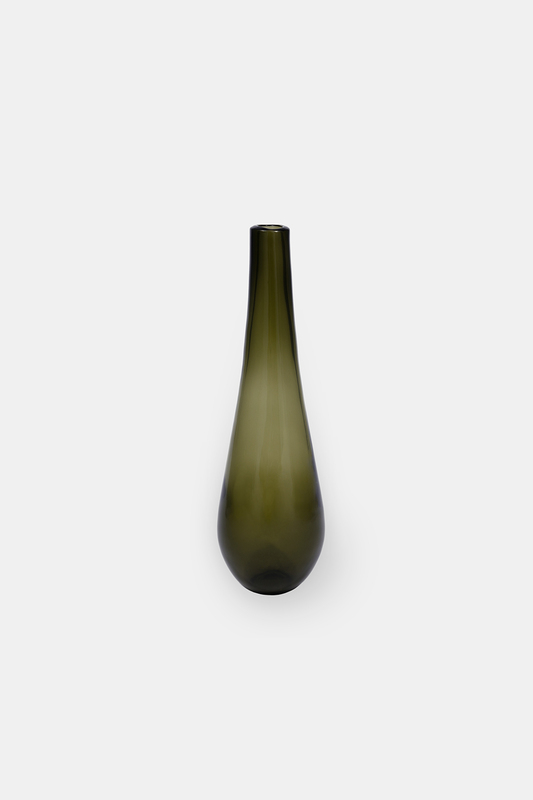 The Knox vase looks beautiful with few simple flowers or branches or just as it is – a decorative piece. Available in grey, olive, amber and green glass.